This rug is shimmery and plush. It does feel best with a rug pad underneath it. The quality is high and it doesn't not shed at all. Also has no odor out of the package. This hand woven shag rug is ultra plush. 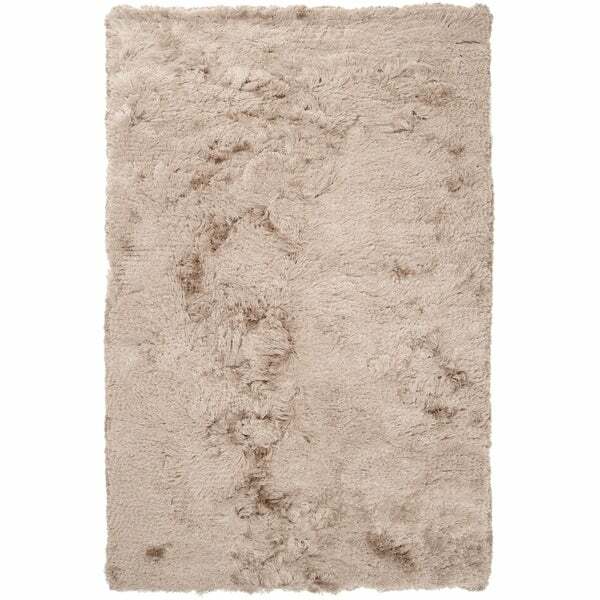 Colors of feather grey and taupe beige accent this area rug. All rug sizes are approximate. Due to the difference of monitor colors,some rug colors may vary slightly. We try to represent all rug colors accurately. Please refer to the text above for a description of the colors shown in the photo. Dimensions 96.0 In. X 60.0 In. X 1.28 In.